Holed round beads of Pink dragon agate in strands about 40 cm. 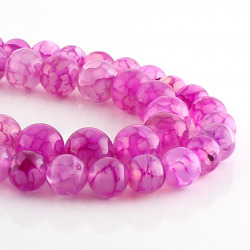 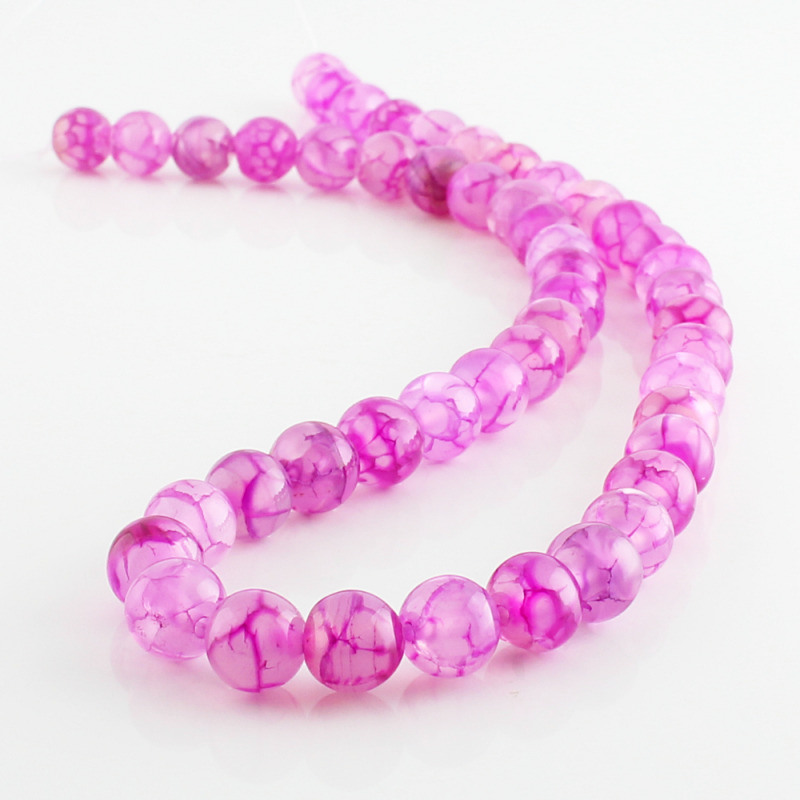 There iare 2 sizes to choose of pink dragon agate round beads. Dragon Agate is very quirky because of its crackled appearance similar to the skin of a dragon is supposed. 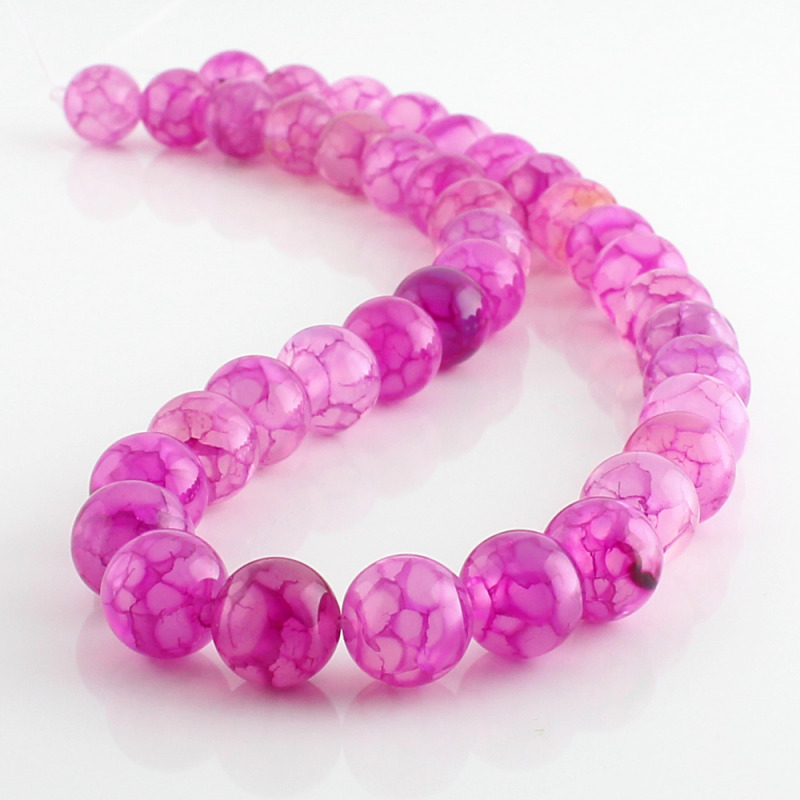 Natural dragon agate cracks are enhanced by dyeing, highlighting even more the pattern being formed in this semi-precious gemstone.